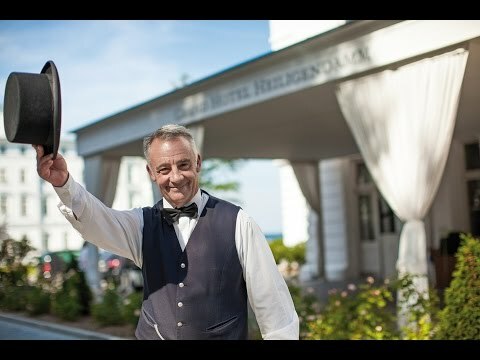 The Grand Hotel Heiligendamm, located directly on the beach, is credited for bringing this historic area back to its former glory. Known as the “white town by the sea,” Heiligendamm has a long history of wellness and high-class service. Located on Germany’s northern coast facing the Baltic Sea, the town has drawn travelers since the late 18th century days of Duke Friedrich Franz I. Today the sandy beaches, historic manor houses, and expansive skies provide the perfect backdrop for the Grand Hotel Heiligendamm, located directly on the beach. Often credited for bringing the whole area back to its former glory, the property is comprised of six historic buildings, including the Kurhaus (which was built by the duke in 1796). A slew of celebrities and big names are loyal visitors, but no one comes to be showy; rather, guests prefer to be understated and enjoy the beautiful grounds and numerous on-property culinary delights. The hotel features a rich cultural program including open-air concerts and modern and historical lectures by high-profile authors. The hotel's impressive collection of dining experiences includes the Michelin-starred Friedrich Franz and the historic Kurhaus, among others. Situated on the shores of the Baltic Sea and surrounded by dense forests of lush beech trees, the Grand Hotel Heiligendamm is an idyllic seaside retreat.